Once diagnosed with coeliac disease you should start eating a gluten-free diet. Following a gluten-free diet means that you have to replace foods containing gluten with gluten-free alternatives. At first it may feel confusing having to always check the ingredients list, but it soon becomes a habit. If a product is not a naturally gluten-free product like eggs, fish, meat, milk, fruit, or vegetables, there is a risk that it could contain gluten. 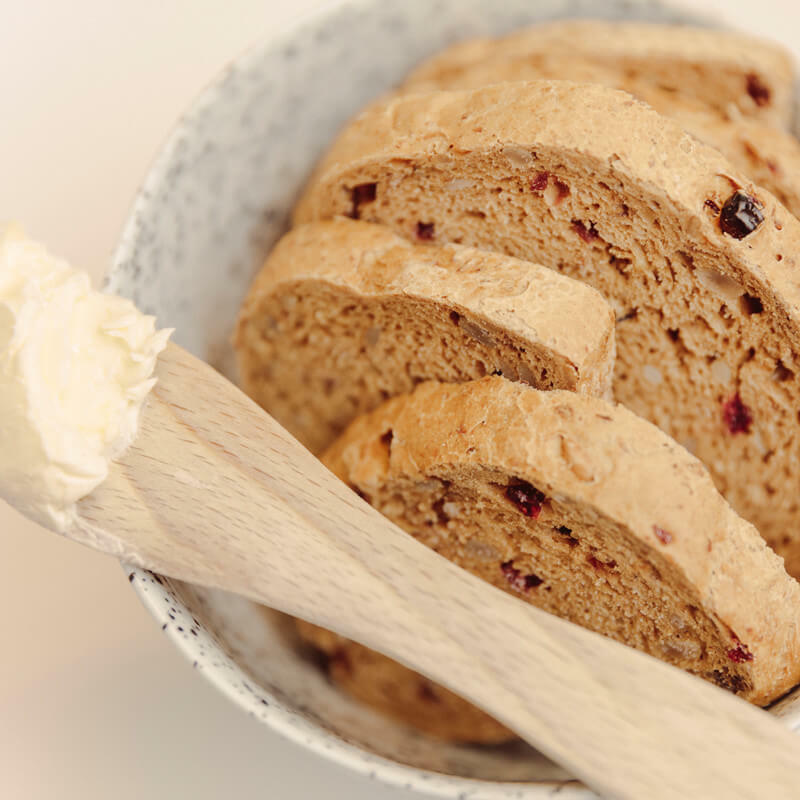 Gluten is commonly found in bread, pastries, pasta, pizza, pancakes, and cereal, but can also be found in more unexpected products like chocolate, ice cream, liquorice, and spices. 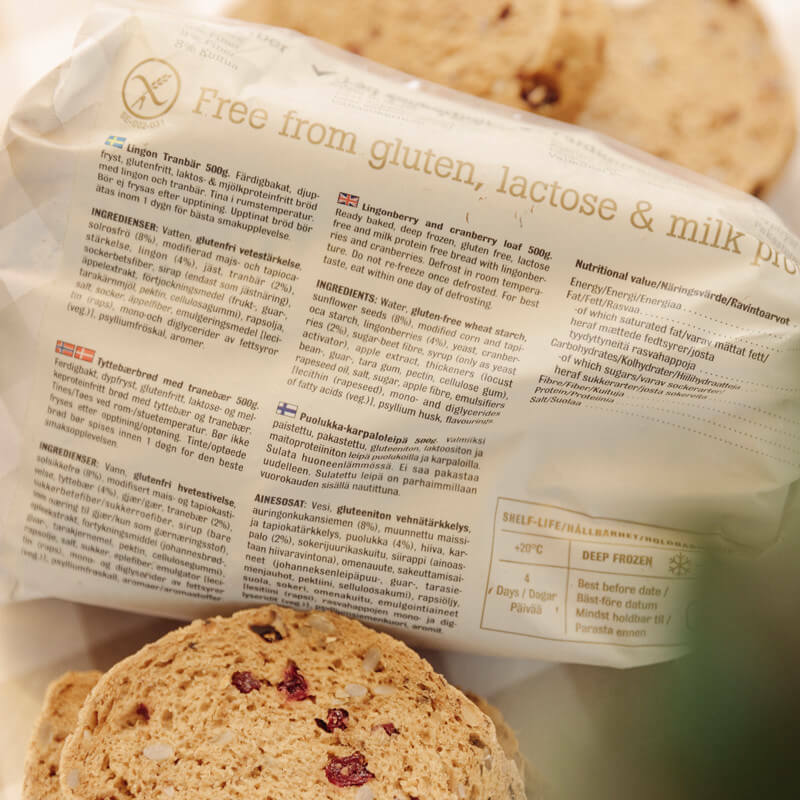 A product may be labelled as gluten-free if it contains no more than 20 ppm of gluten. The limit for gluten-free applies regardless of the ingredient’s origin. Gluten-free wheat starch may be included in a gluten-free diet, as well as specially cultivated oats. The limit of 20 ppm is set so low that you can eat gluten-free products even in large quantities without the risk of consuming too much gluten. Studies suggest that people with coeliac disease can tolerate a very small amount of gluten – between 10 mg and 50 mg per day. You might think that gluten-free is the same as 0 ppm of gluten, but even with today’s measuring methods, it’s not possible to measure gluten content to such a low value. Products labelled “very low gluten” may contain up to 100 ppm of gluten. Products with this label are relatively uncommon but can form part of a gluten-free diet. It’s normal not to be aware of all the contamination risks when you start following a gluten-free diet. 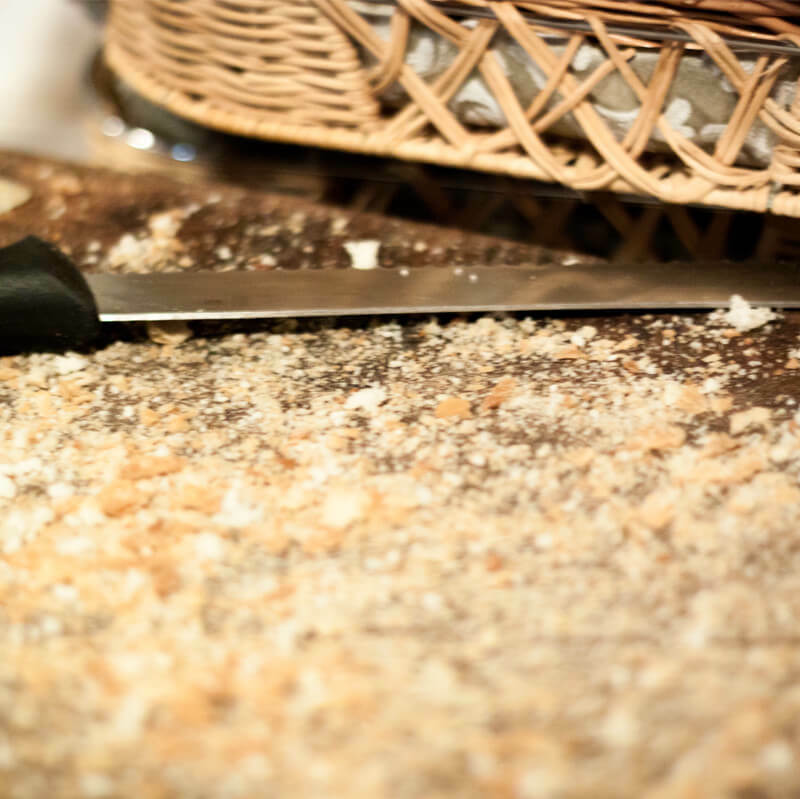 For example, breadcrumbs on the cutting board, flour dust from open containers in the pantry, or cooking oil in the restaurant can mean that you consume gluten without knowing it. Use your own toaster, butter, and butter knife. Never cut gluten-free bread on the same cutting board as bread that contains gluten. Place gluten-free products at the very top of the pantry. When dining out, always ask whether gluten-free fried foods are fried in the same oil as products that contain gluten. If you want to eat a gluten-free diet it’s extremely important to read the ingredient lists of different products. Within the EU all cereals containing gluten must always be emphasised in the product’s declaration of ingredients. Oats do not naturally contain gluten, but because of the risk of contamination of other cereals, oats are still considered to contain gluten. Ingredients are also listed in order of quantity by weight. The ingredient with the greatest weight is therefore listed first.